Limitless Marquee Mod Pod Adapater – Limitless Mod Co.
Limitless Marquee Mod Pod Adapater https://www.youtube.com/watch?v=Vx6vaNkCY94 Here is an overview of the Limitless Marquee Pod adapter. The Limitless Mod Co. Marquee mod is a 3 in 1 device that supports a drop in sub-ohm tank, a 510 drop in adapter or a Pod Adapter that fits the Pulse, Juul, Phix and Bo. 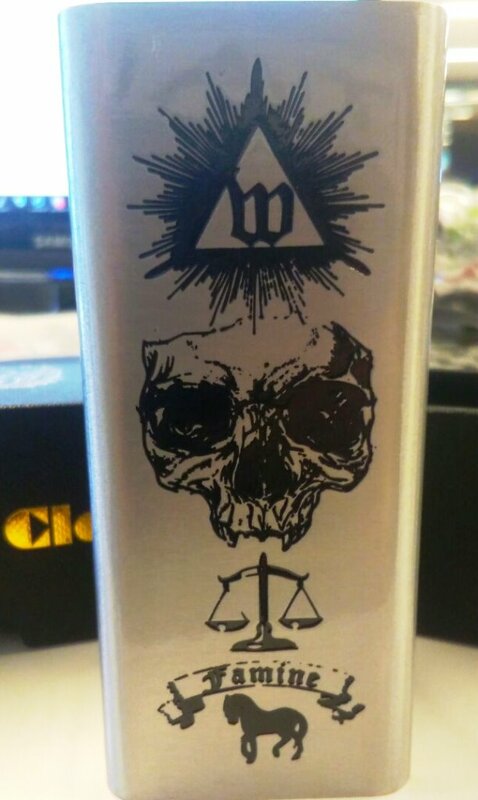 Longer battery life, … Continue reading Limitless Marquee Mod Pod Adapater – Limitless Mod Co.
Limitless Redemption Kit- 80 Watt Mod + LMC Hextron – Limitless Mod Co.
Limitless Redemption Kit- 80 Watt Mod + LMC Hextron https://www.youtube.com/watch?v=klaATF8d8Ik Limitless Redemption kit is the newest release from LMC. The Limitless Redemption Kit is a single battery 80 watt box mod with the Limitless Hextron sub ohm tank. Take a look at the overview of the Limitless Redemption Kit. For more features and specs on … Continue reading Limitless Redemption Kit- 80 Watt Mod + LMC Hextron – Limitless Mod Co.
Limitless Verso Subohm Tank – Release Video – Limitless Mod Co.